The second half of this day of experiences started with the presentation of SAPI, the South Asian Peoples’ Initiative, by Joseph Xavier. Christianity is one of the smaller religions of India and as a result, 80% of the people SAPI works for and with are non-Christians. However, this does not preclude spirituality from playing an important role in its activities. SAPI mainly works with grassroots groups and mainly in campaigning and awareness raising. Its constituents are highly committed and that’s one of the organisation’s greatest assets: the amount of energy and commitment that goes into activities means that there is little need for a supporting structure, let alone a bureaucracy to “run” the groups. The presentation by CEPAS, the Study Centre for Social Action in Kinshasa, Democratic Republic of Congo, concluded the round of experiences. 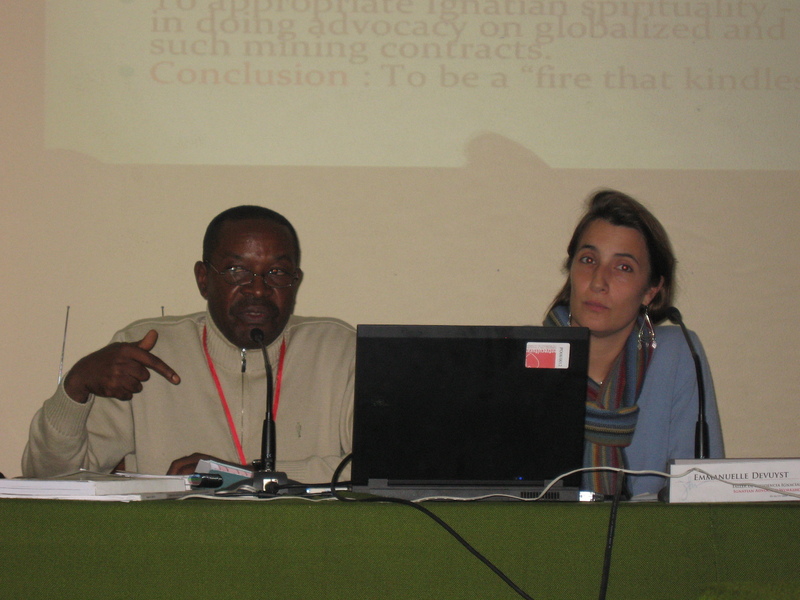 Ferdinand Muhigirwa started by introducing us to the extractive industries in DRC, giving the example of diocese of Kipushi which is almost entirely covered by mining activities. CEPAS’ advocacy activities, as this example shows, do not only include the government, which sees a valuable partner in the organisation, but also the Bishops’ Conference of DRC, which has now set up its own commission on extractive industries. Emmanuelle Devuyst then talked about the collaboration of the Relational Peace Advocacy Network project (part of OCIPE) which she coordinates and which involves lobbying and other activities in Brussels on behalf of CEPAS.